A Wigan man died on Christmas Eve after taking a cocktail of drugs including alcohol, diazepam, heroin and cocaine, an inquest heard. Mark Anthony Cunliffe was 41 years old when he died at the home of his ex-partner in Scholes, having taken each drug in amounts which would have been safe on their own, but which “worked collectively” to stop him breathing. Tragically, his mother Susan had last seen him two days before he died and had told him “not to do anything stupid”. Heartbreakingly, she was informed of her son’s death while on a cruise. 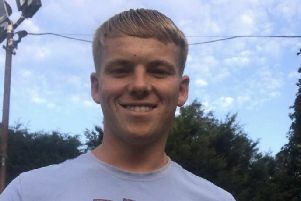 Known to his family and friends as ‘Cunny’, he was a father of three children, Keiron, Charlie and Jamie, and had most recently worked as a fairground operator. At Bolton Coroner’s Court, a verdict of drug-related death through combined drug toxicity, was recorded. But confusion reigned over the circumstances leading up to his death, with Coroner Alan Walsh hearing conflicting evidence from the two people present at the scene - Mr Cunliffe’s ex-partner Deborah Leyland and a friend, Anthony Connor, who was unable to attend the inquest due to currently serving a prison sentence. Ms Leyland said that Mr Cunliffe and Connor had been out during the day, and returned to the flat separately, in a 10-minute window beginning around 6.30pm. It was a short while later, after both went into the kitchen to take drugs, that Mr Cunliffe returned to the living room and collapsed. She began performing CPR and called an ambulance. She claimed to have later found two syringes in the kitchen containing a dark brown substance. But Mr Walsh questioned her timeline, particularly given that an ambulance was not called until 8.30pm - almost two hours after Ms Leyland claims Mr Cunliffe returned to the property. And a statement from Connor also gave a version of events which the coroner described as “totally contrary” to Ms Leyland’s, but which “matched more with the police findings”. Connor claimed he and Mr Cunliffe had injected heroin together in Scholes precinct, and that he had to help Mr Cunliffe up the stairs to the flat after he began feeling unwell. He claimed to have left Mr Cunliffe on the sofa for a while, believing him to be asleep. Mr Walsh went on to criticise GMP’s investigation into the death, calling a Detective Inspector’s report “poor” as it did not include key things which had been said during the inquest, and there was no mention of the premises being searched for drugs paraphernalia. “We haven’t had a full investigation and we don’t have all the evidence. I find this wholly unacceptable,” Mr Walsh said.